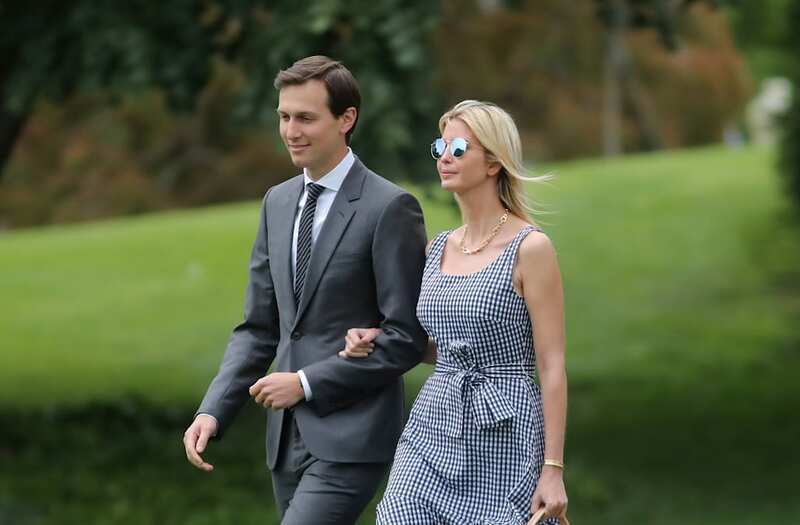 Ivanka Trump and Jared Kushner will be present this weekend when President Trump visits Saudi Arabia, but only after they received a rabbi's approval. Politico reports the president's eldest daughter-turned-White House assistant and senior adviser needed a rabbi's permission to travel this weekend, taking into account the weekly Shabbat holiday they usually observe as part of their Orthodox Judaism practice. Observing the weekly Shabbat holiday entails disconnecting from all electronics and distractions from sundown to sunset. Ivanka Trump and Jared Kushner previously had to receive an OK to bend the Shabbat rules on the occasion of President Trump's inauguration. Kushner alone also broke Shabbat when he strategized with the Trump team after the scandalous "Access Hollywood" tapes were released in October 2016. Ivanka discussed her family's celebrating Shabbat in her new book, "Women Who Work." "[We] disconnect completely - no emails, no TV, no phone calls, no Internet," wrote Trump. "It's enormously important to unplug and devote that time to each other." Kushner has been deeply involved in organizing Trump's Saudi Arabia trip, and reportedly negotiated a $100 billion-plus arms deal with Saudi Arabia involving weapons powerhouse Lockheed Martin. The deal is expected to be announced this weekend.